It has been a while since the J1’s have been down the road this far in the Provincial Towns Cup competition. Sunday saw Skerries host Clondalkin in the quarter finals stages at Holmpatrick. Like most cup games, this one was tight and nervy but in the end Skerries came out on top. In the second half, both teams continued to look for the advantage but were thwarted by good defences on both sides. 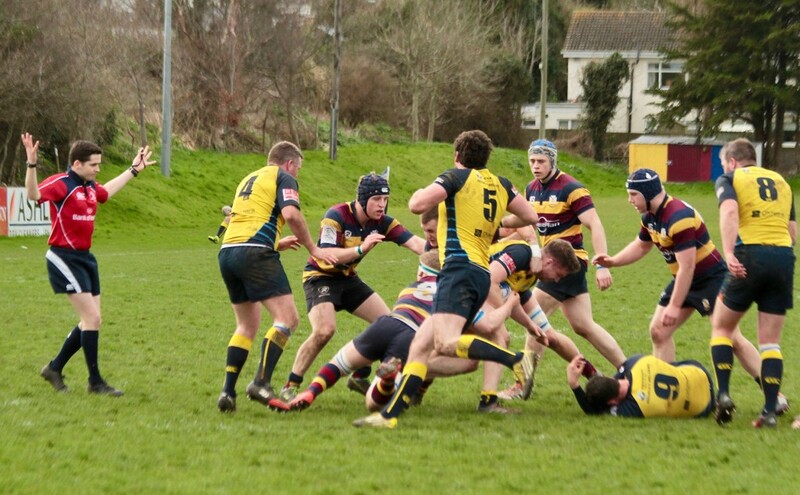 Clondalkin struck for the first try with good work by their forwards which was duly converted to make the score 9-13. Almost immediately after the restart, Dave Goodman gathered a kick and worked it back to Clondalkin’s 10 meter line. From the resulting ruck, Billy Mulcahy chipped over the defence and collected the ball to score unopposed under the post. Mulcahy duly converted to make the score 16 -13 in Skerries favour. Changes in the Skerries side saw Ruairi Woods come in for Robbie Jenkinson, Dara Lowndes come in for David Quirke, Dean Harford coming in for Ben Jenkinson, Eoin O’Byrne replacing Trevor Scuffil and Vinny Watson replacing Neil Martin. For the next 20 mins, neither team could make the breakthrough. Clondalkin were awarded a penalty by the referee for offside which was duly converted to leave the scores level at 16 apiece. One final push up the field led to Skerries making headway towards the Clondalkin line. Good work by the backs and forward up the Clubhouse side ended with Sean Attley barging his way over the line. Difficult conversion was missed which made the last 5 mins a very nervous affair. Skerries held out to claim a victory which puts them into the Semi Final draw next week. All the Skerries players deserve credit for closing out this tight game. The pack with Con Marrey, Conor Ronayne, AJ Sherlock certainly held their own against a bigger Clondalkin pack while the backs with David Goodman, David Quirke and Billy Mulcahy did at times make inroad behind the Clondalkin defence. Due to rescheduled league matches, Skerries opponents are not known at this stage but contain, Tullow, Enniscorthy, Ashbourne, Wicklow and Gorey. Date for Semi Final is Sunday 2nd April and will be at a neutral venue.